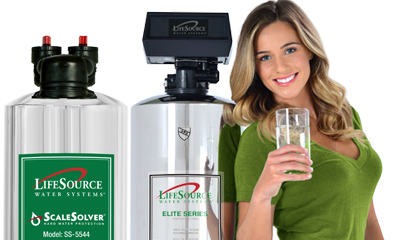 With a LifeSource Water Filter System you can have clean, refreshing and odor-free water from every faucet and shower in your home with one system. Imagine softer, smoother skin and more manageable hair. You and your family can bathe and shower in water that’s free of the drying and harmful effects of chlorine or chloramines. 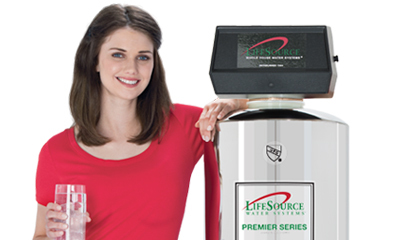 LifeSource systems require no salt or potassium, no monthly servicing or exchanges and there are no filters to change. Experience the quality of the highest rated and longest lasting system in the industry. 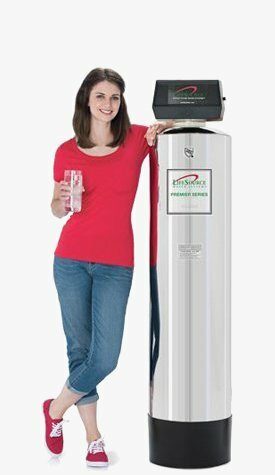 Transform your tap water into clean, great tasting drinking water that flows from every faucet in your home. 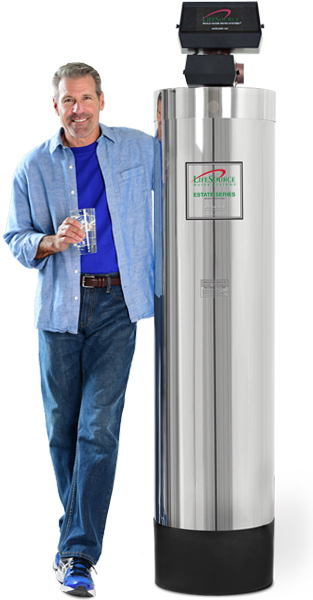 Save money, help the environment and eliminate the hassle and waste of bottled water. 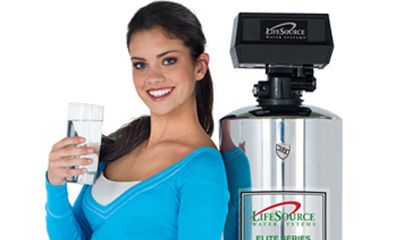 Foods washed and cooked with LifeSource water are more appealing and taste better. Dimensions: Diameter: 16", Height: 76.5"
Water Mains: 1½" and 2"
We pride ourselves on our excellent customer service. Unlike dealers, we offer a fully staffed and factory trained service department. 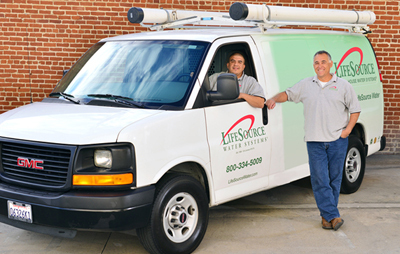 We're here to help with everything from your system installation to all your questions related to your water. 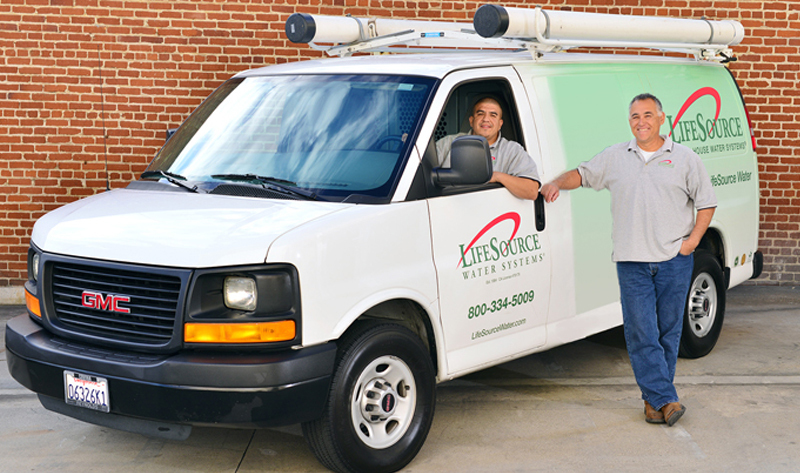 LifeSource has factory outlets throughout the U.S. and we are adding more every year. We have factory trained service teams in our factory outlets, supporting customers directly, everywhere in the U.S. 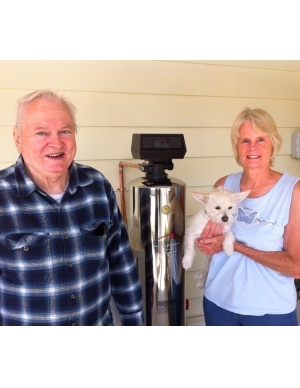 In most states we offer in-home service and installation. 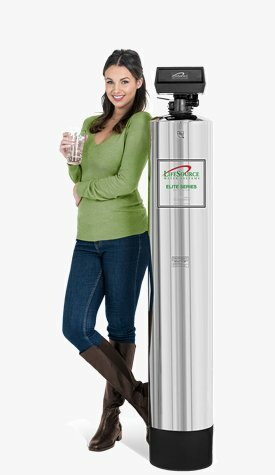 Please speak with a water specialist at our factory for water softener system installation estimate. 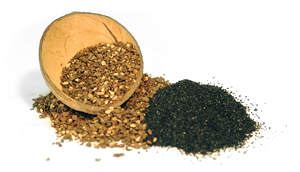 Our systems feature a proprietary blend of coconut shell granular activated carbon. 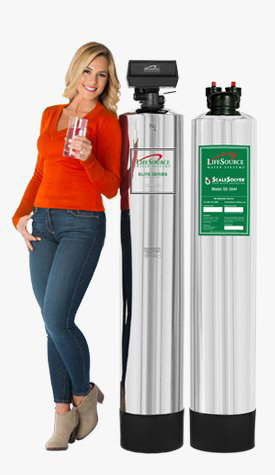 It completely reduces the objectionable taste and odors of chlorine without adding anything to your water. 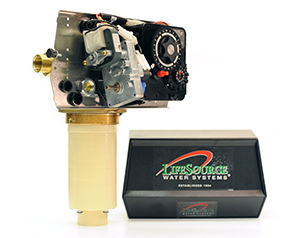 Automatically controls the rinse cycles to clean out sediment in the carbon bed. The rinse water can be used to water a garden or flower bed so no water is wasted. The rinse cycle turbulates the Granular Activated Carbon for longer service life and greater efficiency. 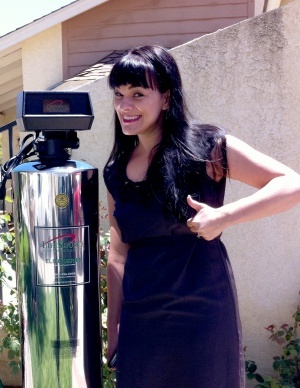 I love my new Lifesource system because I can give my new baby chlorine free baths. It's wonderful to enjoy peace of mind while watching him splash, drink and play in the water. 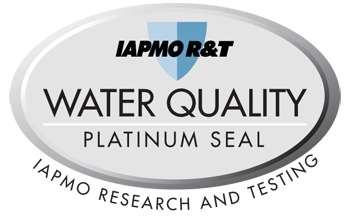 I cant say enough good things about our water! The dishes are cleaner, the taste is better, the plants are greener, we even feel better after showers. 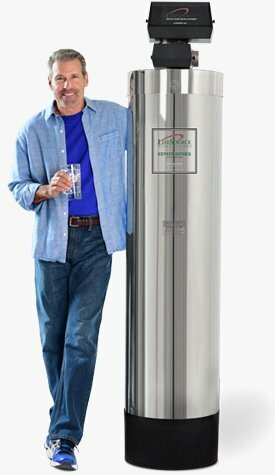 Why anyone would own any other water system is beyond me. Get an installation as soon as you can!